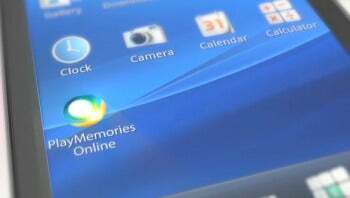 Sony said Friday it will launch its online photo sharing service, "PlayMemories Online," next week. The service will initially be available in six countries -- Japan, the U.S., Canada, Germany, France, and the U.K. -- from April 25, and will offer 5GB of free storage. The service will allow users to upload photos and videos taken with Sony cameras, using its "PlayMemories Home" software for Windows and Macintosh. Photos can also be uploaded from smartphones and tablets using an Android app that will be available from the Google Play store. The photos can be shared online, or viewed using Sony's Bravia TVs or digital photo frames. Some Sony cameras equipped with Wi-Fi can also send images and videos directly to tablets or smartphones, which can then be uploaded to the service. The service is part of a major effort by Sony to link its various products through online platforms, much the way rival Apple allows sharing with its iCloud service across its phones, tablets, and computers. Other manufacturers such as Samsung are also said to be rolling out their own cloud platforms. Sony is also trying to incorporate its gaming products into the effort. Last month, Sony announced a new photo editing suite for the PlayStation 3, for use together with PlayMemories Online. Files stored on the gaming device can also be viewed and edited using Sony's handheld Vita and PlayStation Portable consoles. The company is also working to strengthen its online offerings in other areas. It has grouped many of its online music, movies, and games into its Sony Entertainment Network, and is developing a PlayStation platform that will expand the brand beyond Sony-made consoles, on approved devices made by other hardware manufacturers.